In late June 1806, the Lewis and Clark party had finally re-navigated the Rocky Mountains and was enjoying a few days at Travelers Rest on their return trip from the Pacific Ocean. It was there that Meriwether Lewis initiated one of the Corps’ most ambitious and complicated plans. On July 3, Lewis would head north with several men to explore the upper reaches of the Marias River. Sergeant Gass would lead another group to portage their canoes and cached materials back around the Great Falls. Captain Clark, with the remainder of the party, would explore the Yellowstone River. Clark’s party included Sergeant Nathaniel Pryor, who was assigned a difficult task of his own. “Sergt Pryor with two other men are to proceed with the horses by land to the Mandans and thence to the British posts on the Assinniboin with a letter to Mr. Heney whom we wish to engage to prevail on the Sioux Chefs to join us on the Missouri, and accompany them with us to the seat of the general government,” Lewis wrote. In addition to the unenviable task of driving approximately 50 horses overland to Fort Mandan, Pryor was then ordered to continue on to Fort Assiniboine in Canada, where he would meet with Hugh Haney (a trader and agent with the North West Company) and seek his help in persuading chiefs of the Yankton, Teton, and Sisseton Sioux – a powerful trading conglomerate on the plains – to come east to meet with Thomas Jefferson. Sgt. pryor found an Indian Mockerson and a Small piece of a roab, the mockerson worn out on the bottom & yet wet, and have every appearance of haveing been worn but a fiew hours before. those Indian Signs is Conclusive with me that they have taken the 24 horses which we lost on the night of the 20th instant, and that those who were about last night were in Serch of the ballance of our horses which they could not find as they had fortunately got into a Small Prarie Serounded with thick timber in the bottom. Labeech returned haveing taken a great Circle and informed me that he Saw the tracks of the horses makeing off into the open plains and were by the tracks going very fast. The Indians who took the horses bent their course reather down the river. Recovering the stolen horses was a lost cause, and Clark gave up any further thought of pursuit. 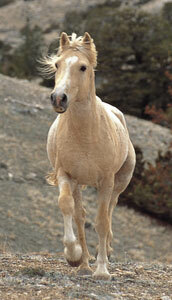 The next day, Clark assisted Pryor with driving the remaining 24 horses across the Yellowstone at Dry Creek. Along with Privates Shannon, Windsor, and Hall, Pryor set out to complete his mission of driving the horses overland to Fort Mandan while Clark proceeded on by river. Unfortunately, the Sergeant’s run of bad luck continued. The second night out, the remaining horses were stolen, as Clark found out when Pryor and his men unexpectedly turned up in a couple of bull boats two weeks later, further down the Yellowstone. at 8 A. M. Sergt. 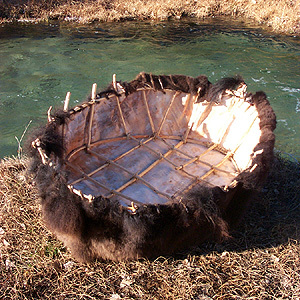 N. Pryor Shannon, hall & Windsor Came down the river in two Canoes made of Buffalow Skins. Sergt. Pryor informed me that the Second night after he parted with me on the river Rochejhone [Yellowstone] he arived about 4 P M on the banks of a large Creek which contained no running water. he halted to let the horses graze dureing which time a heavy Shower of rain raised the Creek so high that Several horses which had Stragled across the Chanel of this Creek was obliged to Swim back. here he deturmined to Continue all night it being in good food for the horses. In the morning he could See no horses. The luckless Pryor had been taken by thieves again. Pryor and his men tracked the Indians for ten miles before accepting that there was no chance of overtaking them and recovering their horses. They then packed their remaining supplies and equipment on their backs, walked to the Yellowstone River at Pompy’s Tower, killed a buffalo bull, and made a couple of circular “bull boats” in the fashion of the Mandan and Arikara Indians. They floated down the rapids and found their way back to the main party. Clark took the disappointment in stride, mostly seeming impressed with the bull boats, pleased with the men’s resourcefulness, and relieved that Pryor and his men made it back safely, with a wolf-bite on the Pryor’s hand being the only serious injury. Pryor’s ordeal has a fascinating footnote. The Pryor Mountains of Montana, known as the Arrowhead Mountains to the Crow Indians, are home to this day to a free-roaming band of wild horses. Many of the horses have primitive striping on their backs, withers, and legs and are reputed to have some of the characteristics of “colonial” Spanish horses. The wild horses of the Pryor Mountains have been documented as living in this area since the early 1800s and are likely descended from Crow Indian war ponies and the Shoshone and Nez Perce horses that were stolen from Sergeant Pryor. One of these horses is Cloud, the subject of the documentaries “Cloud: Stallion of the Rockies” and “Cloud’s Legacy: The Wild Stallion Returns,” by Emmy-winning filmmaker Ginger Kathrens. Kathrens has documented Cloud’s life and the life of his band of wild horses since his birth in 1995, making Cloud famous all over the world. 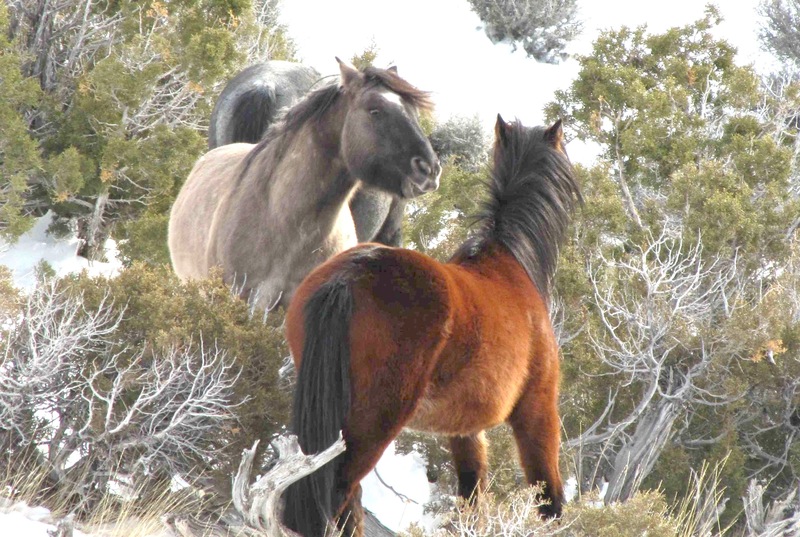 In 1968, interested individuals and groups convinced Interior Secretary Stewart Udall to set aside 31,000 acres in the Pryor Mountains as a public range for the wild horses living there. Subsequent to the Udall’s order, the passage of the Wild Free-Roaming Horses and Burros Act in 1971 allowed for expansion of the range to areas where horses were “presently found.” Despite some protections, the wild horses of the Pryor Mountains remain gravely endangered, subject to round up, relocation and even destruction. Herd management policies by the Bureau of Land Management remain controversial. Cloud himself has been rounded up twice. 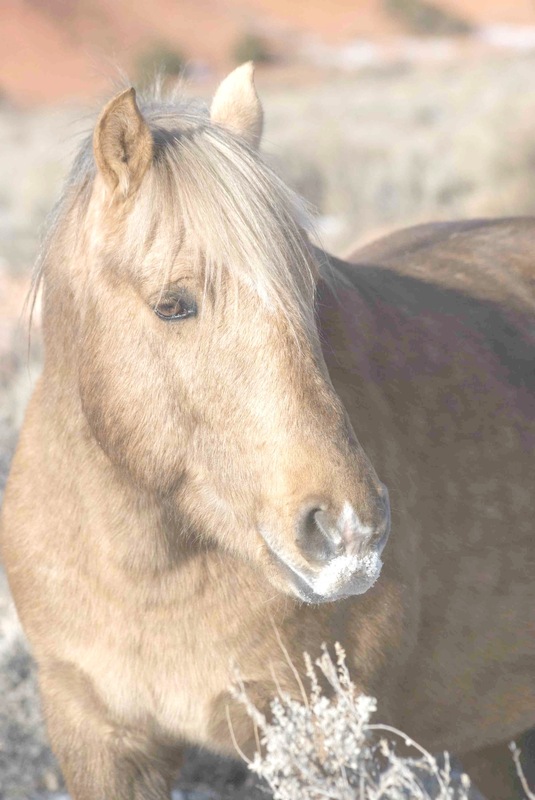 For more information on the Pryor wild horse herd and how to help preserve wild horses on public lands, please visit The Cloud Foundation website.